Mix 3 crushed cloves of garlic, the juice of ½ lemon, 15g finely chopped flat-leaf parsley, 10g finely chopped fresh tarragon, 80g lighter soft cheese and some seasoning in a bowl until well combined. 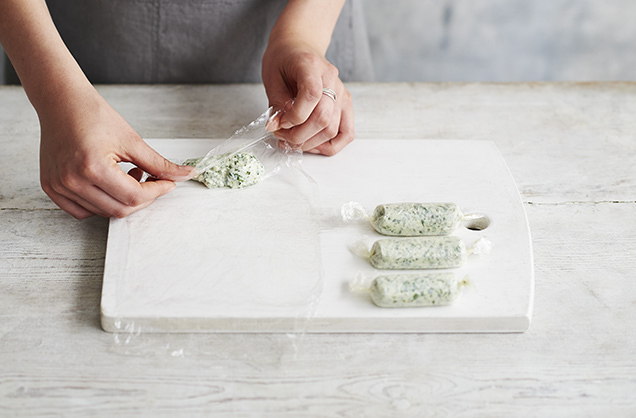 Roll into 4 sausages and wrap in baking paper or clingfilm. 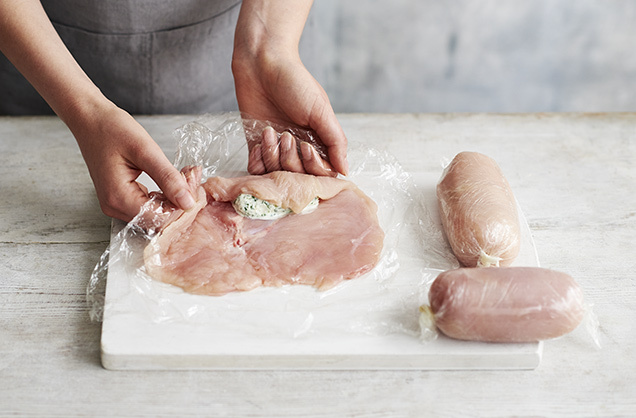 Freeze for 1 hr – this makes the soft cheese mix it easier to work with, so you’ll find it simpler when rolling the Kievs. 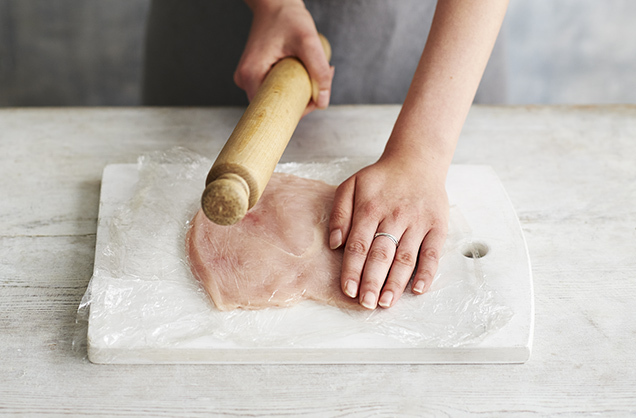 Lay a piece of chicken on a sheet of clingfilm, place a roll of cheese at a long edge, then fold over the short edges slightly. 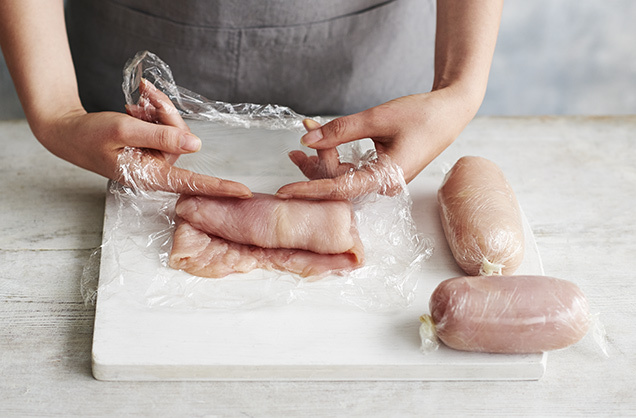 Use the clingfilm to tightly roll it up into a fat sausage shape. If the Kievs don’t stay sealed, then mix a little beaten egg and flour together to make a paste and use it like glue. 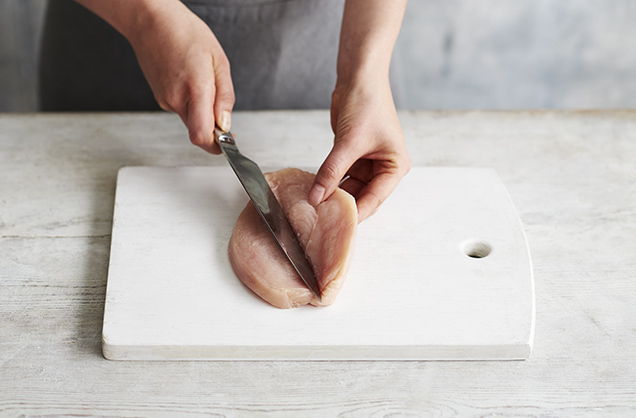 If the breasts still uncurl, use a cocktail stick to secure. Transfer to a baking tray lined with nonstick baking paper. Bake for 20 mins or until golden and cooked through. Serve immediately. 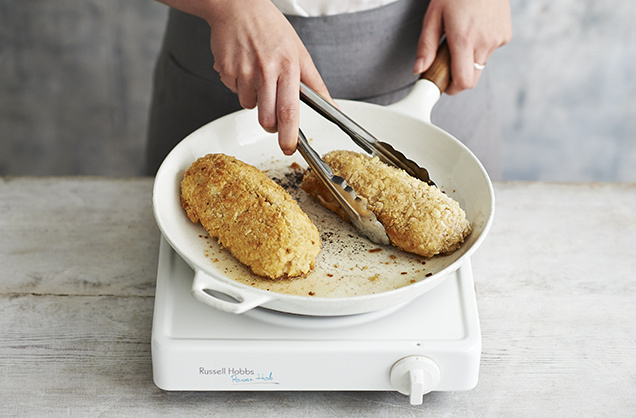 Frying before baking will give the Kievs their dinstinctive crunch, but you can just bake them. 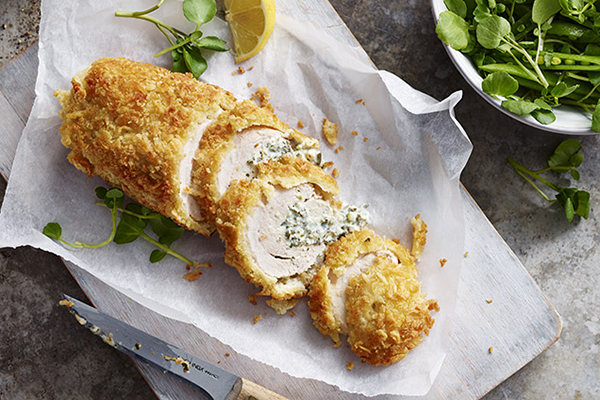 Coat in breadcrumbs, spray with olive oil spray and bake for 25 mins or until cooked through.